Hrithik Roshan turned a year older on January 10 and birthday wishes from fans, friends and well-wishers flooded the internet. The actor celebrated his special day with family and close friends. 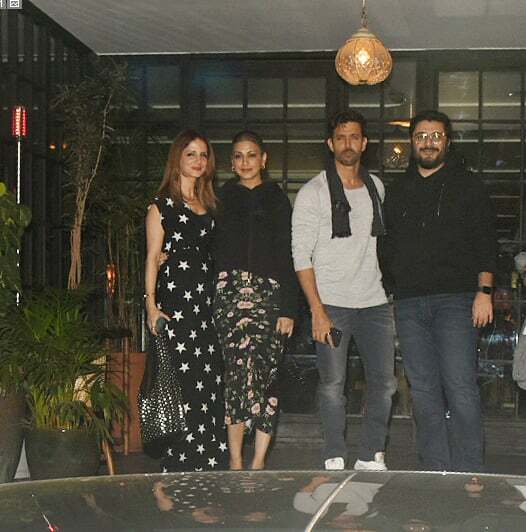 Hrithik was seen out on a dinner with former wife Sussanne Khan, BFFs Sonali Bendre and Goldie Behl. Actress-model Gayatri Joshi Oberoi was seen along with husband Vikas Oberoi. 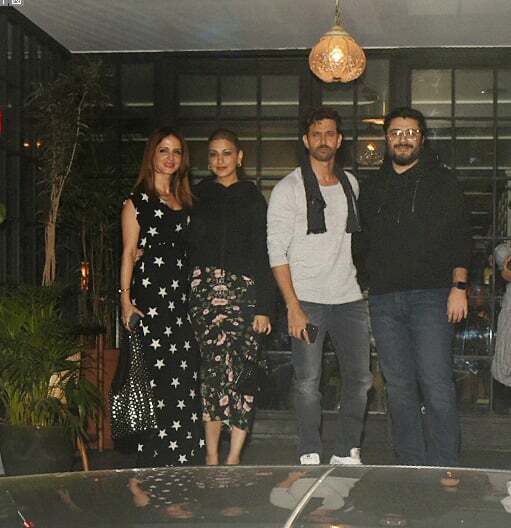 The bunch of close friends celebrated Hrithik's birthday at Mumbai's celeb-favourite hangout zone Soho House. Hrithik Roshan turned a year older on January 10 and birthday wishes from fans, friends and well-wishers flooded the internet. The actor celebrated his special day with family and close friends. Actress-model Gayatri Joshi Oberoi was seen along with husband Vikas Oberoi. 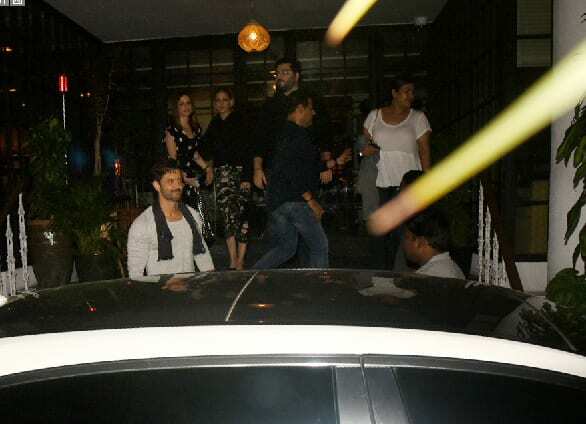 The bunch of close friends celebrated Hrithik's birthday at Mumbai's celeb-favourite hangout zone Soho House. Sonali Bendre and husband Goldie Behl are close friends of Hrithik and Sussanne.